The Iraqi prime minister has hinted that his country would play a bigger role in Syria to fight Daesh terrorists after the withdrawal of the US forces. 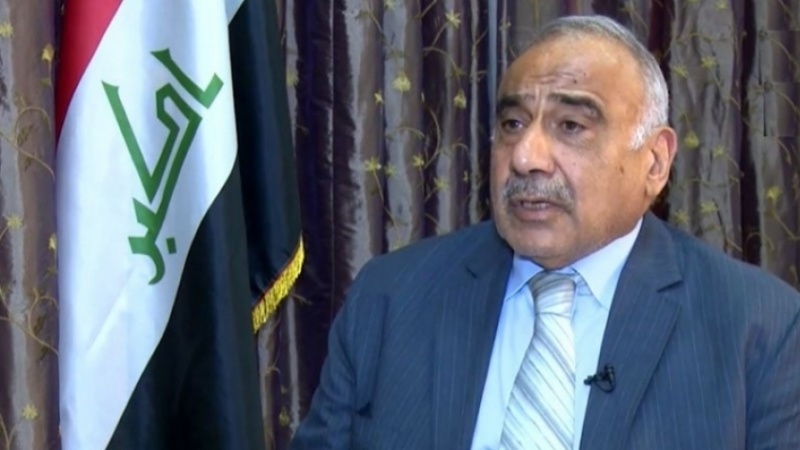 According to Press TV, Adel Abdul-Mahdi made the remarks on Sunday, stressing that Iraq seeks to move beyond its current arrangement with Syria. However, he did not get into more details. US President Donald Trump announced this month that he had decided to withdraw the approximately 2,000 US troops in Syria. Iraqi warplanes and artillery have pounded Daesh positions inside Syria in the past, after getting the green light from Syrian authorities. Earlier on Sunday, it was reported that Syrian President al-Assad has allowed Iraqi fighter jets to conduct airstrikes against the positions of the Daesh Takfiri terrorist group in the war-ravaged country without waiting to be granted formal authorization for the assaults. A high-ranking Iraqi official, speaking on condition of anonymity, told Russia’s RT Arabic television news network that Iraqi warplanes will be able to enter the Syrian airspace and bombard Daesh sites under Assad’s directives. The Iraqi official, however, highlighted that the Syrian president has demanded the Baghdad government to inform Syrian authorities before launching any aerial raid. On December 12, the media bureau of Iraq’s Joint Operations Command (JOC) said in a statement that Iraqi military aircraft had carried out two separate airstrikes against members of the Daesh Takfiri terrorist group in Syria’s Eastern Province of Dayr al-Zawr. The statement noted that the fighter jets targeted a meeting of Daesh Takfiris in al-Susah town, which lies in Abu Kamal district of the province, leaving 30 terrorists dead. Another air raid destroyed a militant hideout in the same Syrian town, killing 14 Daesh terrorists. Iraqi authorities have on occasions stated that they work closely with the Syrian government to monitor and target terrorist targets based on the efforts of intelligence and information departments of the security coordination committee formed between Baghdad, Damascus, Tehran and Moscow years ago, as well as coordination with the so-called US-led anti-Daesh coalition.